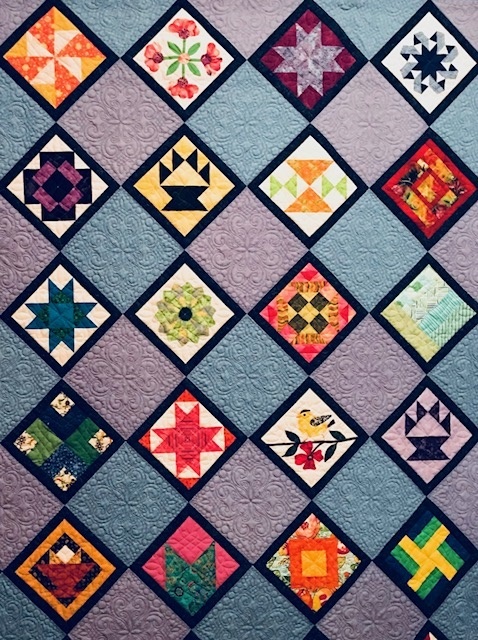 We were excited to see so many interested parties for the 2019 quilt show challenge. It is an applique (machine or hand) project which features the Rose of Sharon as the subject of the challenge. It can be executed anyway in a 24×24 inch piece and must use (somewhere in the quilt) the fabric which we have chosen. I have two pieces left so if interested please contact me at mskqlt@verizon.net for the fabric and the directions for the challenge. This entry was posted in MVQ and tagged Challenge Quilt. Check it out. Near the bottom of the main page of the New England Quilt Museum is a note about the Guild Challenge. Pictured is the quilt submitted by members of MVQ. Note that there is a first place ribbon next to it. This entry was posted in MVQ and tagged Challenge Quilt, New England Quilt Museum.